Burton unimpressed by Taoiseach's call to party leader to "rein her in"
Taoiseach later explains he’s not suggesting she’s a horse. “I was asking the leader to rein in the deputy leader, not in any other capacity”, he says. 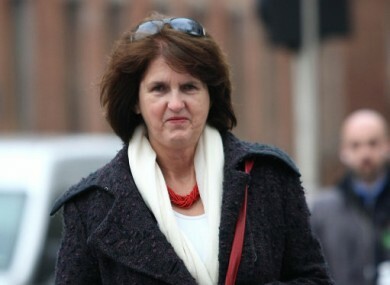 THE TAOISEACH Brian Cowen has had to apologise to Joan Burton after asking party leader Eamon Gilmore to “rein her in”. The exchange occurred during yesterday’s heated exchanges on the four year plan, when a visibly strained Cowen became irritated as Burton repeatedly interrupted him. The Taoiseach suggested to the Labour party leader, Eamon Gilmore, that he “try and rein her in now and again”. Gilmore interjected: “Hold on now . . . That is not like the Taoiseach”. As Fine Gael’s Lucinda Creighton called for an apology on Burton’s behalf, the Taoiseach said that every time he replied to questions from Gilmore, the Labour leader “allows her speak”. Albert Reynolds got his answer in similar circumstances. Are you going to say, ‘That’s women for you’? Oh, I’ll apologise for that remark, but is anyone going to apologise when I get up to speak and people interrupt me all the time? Does anyone apologise? In relation to the earlier interaction I want to make it clear that I was asking the leader to rein in the deputy leader, not in any other capacity. Look, I don’t want to make any more issue out of that, and I certainly will apologise if anyone took offence, that’s not my intention. Email “Burton unimpressed by Taoiseach's call to party leader to "rein her in"”. Feedback on “Burton unimpressed by Taoiseach's call to party leader to "rein her in"”.